My new favorite mystery series, set at a weekly paper in 1950's Scotland. A great setting and excellent character development. A gripping and atmospheric novel of suspense, set in the Scottish Highlands in the 1950s, featuring a small-town newspaper staff. 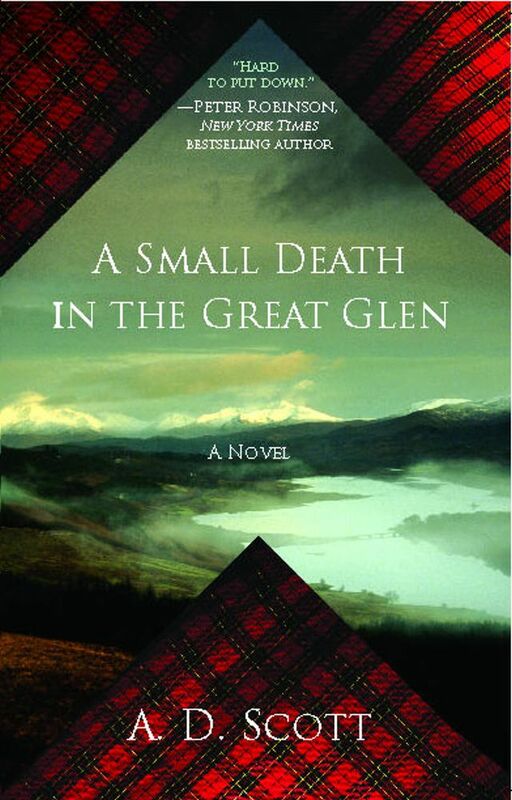 In the Highlands of 1950s Scotland, a boy is found dead in a canal lock. Two young girls tell such a fanciful story of his disappearance that no one believes them. The local newspaper staff—including Joanne Ross, the part-time typist embroiled in an abusive marriage, and her boss, a seasoned journalist determined to revamp the paper—set out to uncover and investigate the crime. Suspicion falls on several townspeople, all of whom profess their innocence. Alongside these characters are the people of the town and neighboring glens; a refugee Polish sailor; an Italian family whose café boasts the first known cappuccino machine in the north of Scotland; and a corrupt town clerk subverting the planning laws to line his own pocket. Together, these very different Scots harbor deep and troubling secrets underneath their polished and respectable veneers—revelations that may prevent the crime from being solved and may keep the town firmly in the clutches of its shadowy past. A.D. Scott was born in the Highlands of Scotland and educated at Inverness Royal Academy and the Royal Scottish Academy of Music and Drama. She has worked in theater and in magazines, and is currently writing the next book in the acclaimed Highland Gazette mystery series.